These days, it’s not enough to just create content to push out through your social media channels. If you want to build a solid reputation and following, you also have to listen to what is being said about your company, your competition and your industry. Your customers want a brand that is fresh and interactive and provides them with products, services, support and content that is useful and engaging. Social listening is the monitoring of your company’s social media channels for any customer feedback and direct mentions of your brand or discussions regarding specific keywords, topics, competitors or industries, followed by an analysis to gain insights and act on those opportunities. 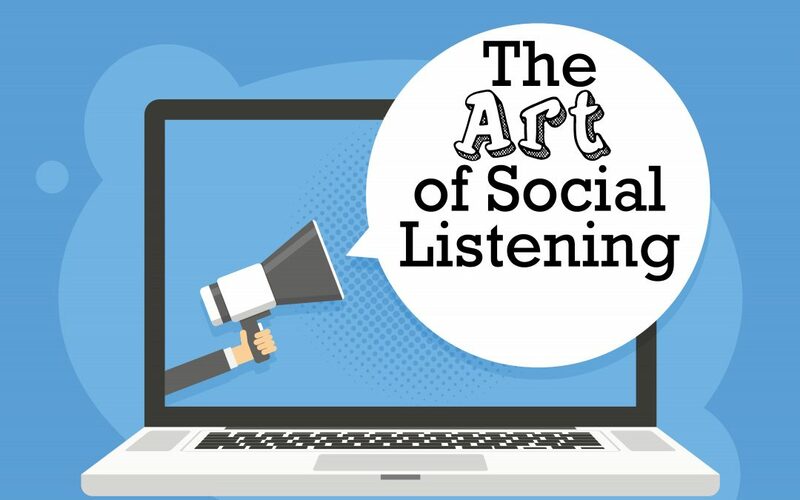 By performing social listening, you can create the kind of content your followers actually want, come up with ideas based on industry trends, improve your customer experience by interacting directly with your audience, and continuously shift your customer strategy to fit the current need. Hashtags: The # is a great way to run a search for either the places where your potential customers are checking in or the hashtags they are using related to your service. Facebook groups: This is a relatively untapped frontier for business development. The key is participating in group discussions so you’ll learn what is of value to those members. Facebook groups are a great way to network online and identify potential clients/customers. Read and respond appropriately: Everyone wants their voice to be heard and they want you to respond. But it’s more than that. It’s about using social listening to thoughtfully craft responses that provide real value. Those are the kinds of responses that will create brand loyalty and increase customer retention rates. You can even turn negative posts into opportunities to change procedure and be innovative. West Press’ talented staff is here to help you each step of the way — from graphic design to printing to mailing services to large format. Contact West Press or your Account Executive at 520-624-4939 today.